I love these two authors! They are brilliant. 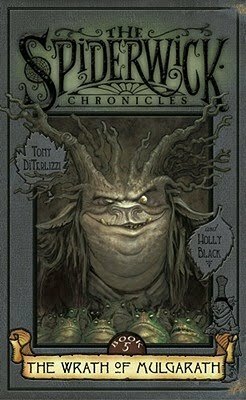 This was an amazing series and I have already got the 3 addendum books and the second series Beyond Spiderwick to read. Part of me was sad to see this series come to an end. I like the characters and the world that Black and DiTerlizzi have created. It is a world I would like to live in, or at least have the opportunity to visit. At the end of this book it states it is the end of the story of the Grace Children, but because there are more books we know that the adventure in this world has not come to an end, it is just changing chapters. Much like what happens to each of the children in the Narnia Chronicles at different points in time. This story has more action then the first 4 and races along to a conclusion. In this story we discover that Dragons really exist, that Vanity can really lead to anyone's or anything's downfall and we find out that the Fairy folk are more fair and compassionate then when we last encountered them. It is a great book in an amazing world!